Last week my friend Dave wrote a guest blog while he was staying at the Riyad el Cadi in Marrakesh, where Roland and I stayed last December. I was so happy that the proprietors made them feel welcome and treated them extra nice when they used my name. Whenever I find a really great place-- especially one a bit off-the-beaten track-- I love to recommend it to my friends. Then I'm always a little anxious about how they'll find it. (I mean you never want to be responsible for sending someone someplace that they hate, like when I told Ken and Tony about Bangkok and they called whining about what a dump the Oriental Hotel was. OK, so I told you about the most incredible hotel and the most wonderful restaurant, both pretty much in the middle of nowhere. 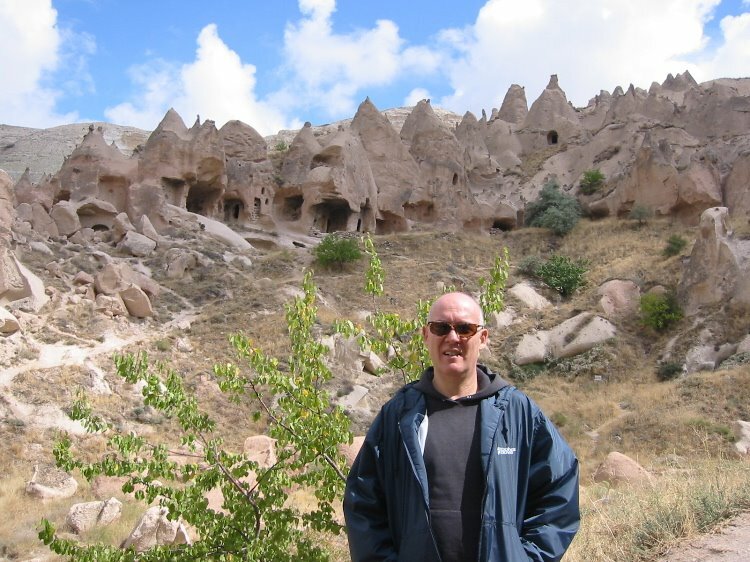 Why would anyone go to Cappodocia? The 2 main reasons: history and geography and the way they interacted. You can feel you're in the Bible one minute and in a fairy land that beats anything Hollywood has ever created the next. People flip out the first time they see Cappadocia's "fairy chimneys," which are caps of hard rock on a cone-shaped shaft of the softer tufa stone. It looks like something you'd expect at Disneyland. In every direction from Urgup we found unique and fascinating things to see-- from underground cities, several stories deep, where people sought safety from the aggressive Hittites, to ancient churches the earliest Christians built into the sides of steep, inaccessible mountains. No matter how long you stay, there's never enough time. We rented a car, which made it a lot easier-- and made complete sense since we planned to drive south from Cappadocia to the Mediterranean Coast. It isn't easy to pick a few sites to see because everything is so unique and special. 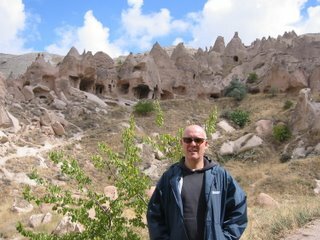 I totally recommend the ancient long-abandoned monasteries built into the sides of the Zelve Valley, the tiny churches built into what is now called the Goreme Open Air Museum, and either the Kaymakli or Derinkuyu underground cities. We would drive to our destination early every morning and then hike all day. I love all parts of Turkey but if you can only visit one place outside of Istanbul, it should probably be Cappadocia.